Bangladesh police on Sunday arrested a suspected Islamist militant from the border district of Ukhia, near camps where thousands of Rohingya Muslims fleeing a military crackdown in Myanmar have taken shelter, Mizzima News carries AFP report. But after his release, Awal “communicated with various international militant groups through social media in an effort to establish Khilafat (a caliphate) through so-called Jihad,” Amin said. But the RAB’s Amin said authorities have not found any connections so far between Awal and Rohingya refugees. An estimated 655,000 Rohingya have left Myanmar since late August to escape what UN officials have termed ethnic cleansing with possible “elements of genocide”. 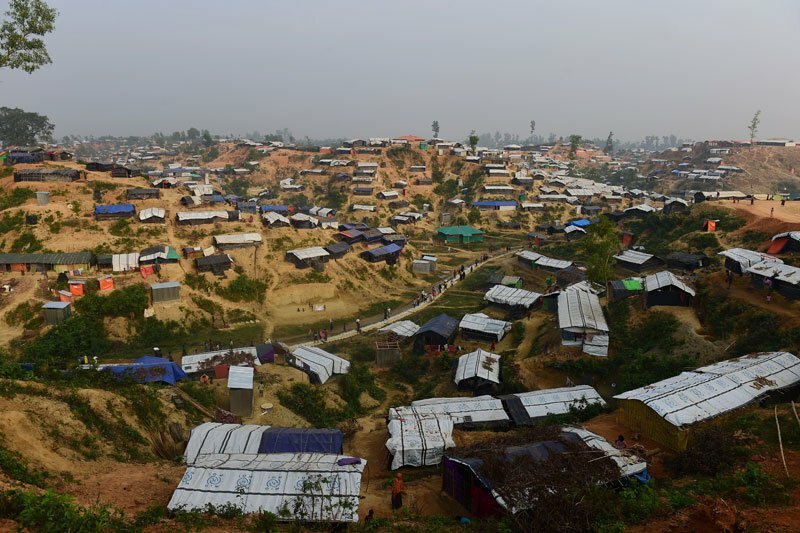 Most of the refugees have settled in Bangladesh’s southeastern border areas like Ukhia. The country’s border forces have also tightened patrols to prevent Rohingya militants — who have carried out a series of attacks on Myanmar security posts since October last year — from entering Bangladesh territory.